From the Southern Highlands, to the ‘Southern Pie-lands’, the humble pie has spawned a marketing campaign that has seen an estimated $2 million injection for the local New South Wales economy. As Manager Tourism & Events for Destination Southern Highlands for the past 13 years, Steve Rosa is part of the innovative team behind Pie Time. The June event is a month-long celebration of pies incorporating a Pie Trail of bakeries and other eateries serving pies of all descriptions, as well as cooking classes, pie tours, pie short break stays and more that also features a two-day flagship festival, PieFest. We chat with Steve about the evolution of the destination marketing campaign – and why it’s been a major tourism drawcard for the region. How did the concept for Pie Time come about? Back in October 2016, we were undertaking a product audit of our region and noted that we had a high concentration of local bakeries. Initial numbers were 28 bakeries spread throughout our picturesque region covering 17 towns and villages over 2700sqkms. To complement our existing tourism experience trails such as our Heritage Trail, Garden Trail, Antique Trail, Arts Trail and Wine Trail, we decided to develop a Pie Trail which was accessible all year round. Following the successful launch of the Pie Trail in January 2017, we consulted with industry to create events and experiences around pies to give visitors another reason to experience the Southern Highlands. A two-day Pie Festival was initiated in June 2017, with a number of supporting pie themed events and experiences also created during the winter month of June – the best time to enjoy a pie. How did your marketing campaign evolve? This initial concept work led us to bake an original destination marketing campaign, aptly named Pie Time. The humble pie was used as a platform for marketing the region during the off-peak month of June, encouraging people to visit, explore and stay while immersing themselves in Pie Time, which offers them unique ways to discover the Southern Highlands while indulging in plenty of pies through a pie trail, pie promotions, pie competitions, pie activities and experiences, and a pie festival. It also offered a new way to support and connect local industry by providing businesses with a unique selling point, a tangible way to create new promotions, an increase in customers in a non-peak visitation month, and an opportunity to collaboration with other businesses in the region to offer new customer experiences. How big was the budget for the campaign and who was involved? The destination marketing campaign was developed with a small budget of $80,000 plus industry co-op. The campaign celebrates the Southern Highlands as ‘Australia’s Home of Pies’, as no other region in Australia has a Pie Trail, a Pie Festival or more pie outlets in a destination the size of the Southern Highlands. What were some of the key ingredients of the campaign? The campaign ingredients included over 50 local pie sites including bakeries, cafes, restaurants, cellar doors, pubs, hotels, pie makers, tour operators, tourist attractions, event organisers, local Council and community groups. The recipe was a range of pie-themed events, a pie trail, pie related activities and experiences, a festival, and places to stay over the month of June. It involved taking existing products and attractions, encouraging and supporting the creation of new events, and combining them to create a short break campaign and richer destination product with a more compelling call to action under the Pie Time brand. Yes! The humble pie resonates with people at all levels. It’s often at the centre of family memories, and there’s a pie for everyone, from plain to signature pies, vegetarian and vegan. It’s unique, quirky and fun. It’s a different approach to destination marketing. To see 100,000 pies produced and sold in June 2017, and see that increase by 100% to 200,000 pies in June 2018 is astonishing. What sets this event apart from other food festivals? It’s totally different to anything available elsewhere in Australia. The campaign and event supports our region’s position as a boutique Food & Wine destination and complements the development of our foodie experiences & trails. The campaign also targets both visitors and the local community through targeted and customised events and experiences. How did you leverage the local community to support the event? The Pie Time campaign was well communicated to local residents via local media, Council & DSH communications. Communications aimed to engage the local community as advocates for Pie Time among their family and friends. We developed special promotions and events for the local community such as ‘Local Pie Night’, where locals were incentivised to invite visiting family and friends to the Highlands on the last weekend of Pie Time in June to share a pie and the region. We also partnered with local charity group Meals on Wheels to conduct the ‘Giant Pie Drive’ throughout June, where schools, sporting organisations, groups, businesses and clubs could purchase pies as a fundraiser. How did you drive this campaign on a shoe-string budget? 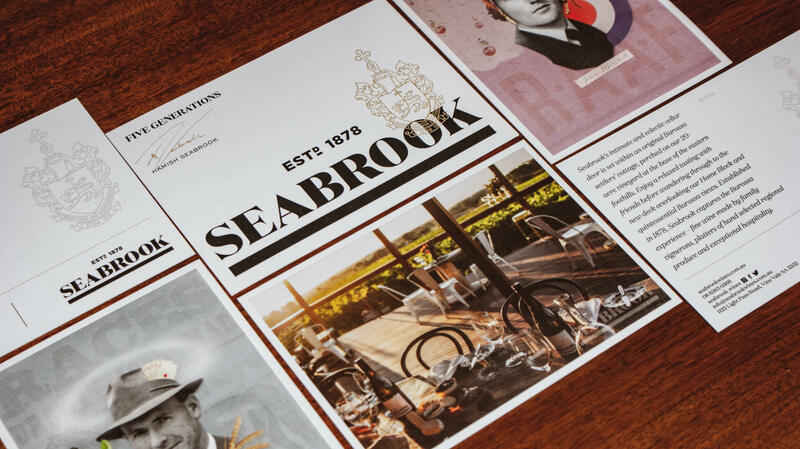 Working with a minimal budget required lots of creativity – particularly in advertising. Pie Time needed to stand on its own as worthy of PR placement, to ensure free coverage that could reach the geographically diverse audience we could not afford through traditional avenues of paid advertising. Our own paid advertising efforts through “non-traditional” avenues also needed to be extremely targeted – ensuring sufficient capture of our target demographic across Sydney, Canberra and Wollongong, without blowing the budget. 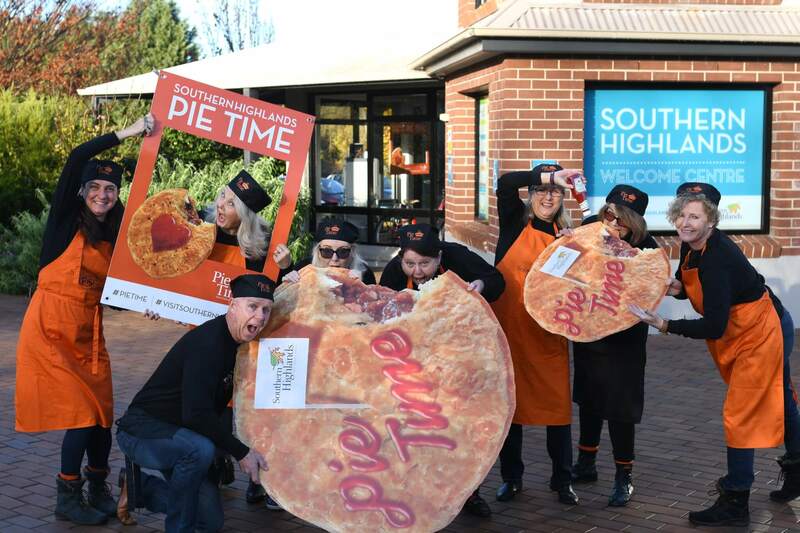 The Pie Time marketing strategy for 2018 was to capitalise on the momentum that had been achieved in year one, while cementing that Pie Time is here to stay and the Southern Highlands does, in fact, become the Southern ‘Pielands’ in June! A Pie Time communications strategy was developed that included a multi-channel approach with a heavy and target digital presence supported with free publicity and promotions. In addition to paid media and PR, we worked collaboratively with Tourism Australia, DNSW, Visit Canberra and local industry to further extend the campaign’s exposure. What lessons can you take out of this campaign? Always look to generate good content for stories and visual uptake by media. And ensure that you bring the industry on board, so they can take ownership of the campaign, in part by providing cost effective opportunities for industry to take part. It’s a fantastic event concept. Why is it important to think outside the square when it comes to tourism campaigns? Destination marketing is a very competitive and noisy market space. You need to continually find destination USPs to set your destination apart from others and give people – including repeat visitors – a reason to visit or come back.